Bunnies, chicks, egg hunts, and celebrating the resurrection of Jesus Christ! Easter is a time to celebrate new life and hope for our future! 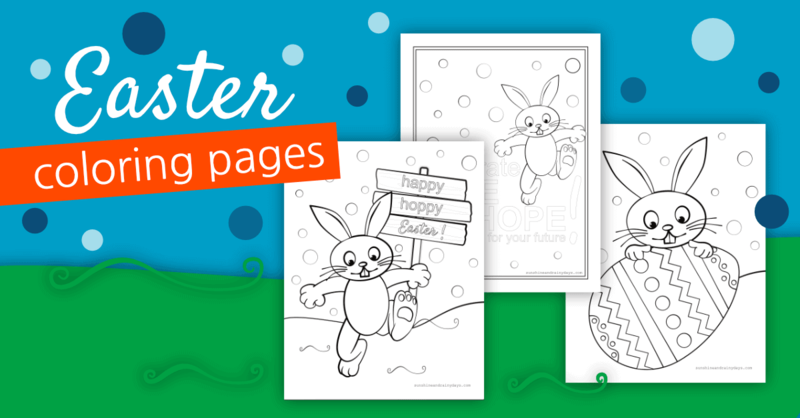 We are here to help you celebrate with Easter Printables! 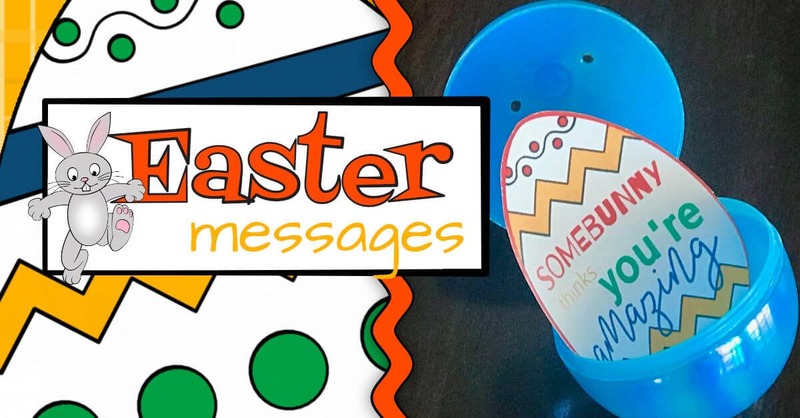 Brighten your Easter Egg Hunt this year with Inspirational And Punny Easter Messages designed to fit in plastic Easter Eggs! Don’t forget to add candy! Easter will find yards full of Easter Eggs as kids, and the young at heart, search for eggs and the surprises inside! They’ll find candy, little toys, and maybe even money inside! 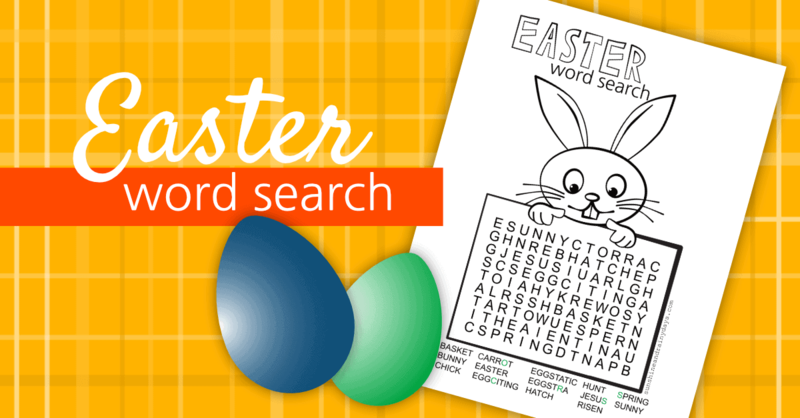 What if YOU added a new twist with Easter Trivia? No way am I proposing you skip the candy. 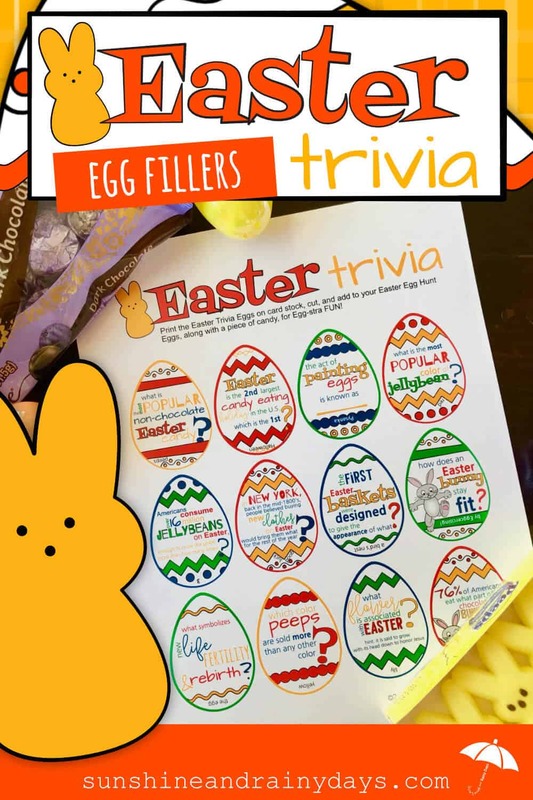 Instead, ADD Easter Trivia to your eggs along WITH a piece of candy! 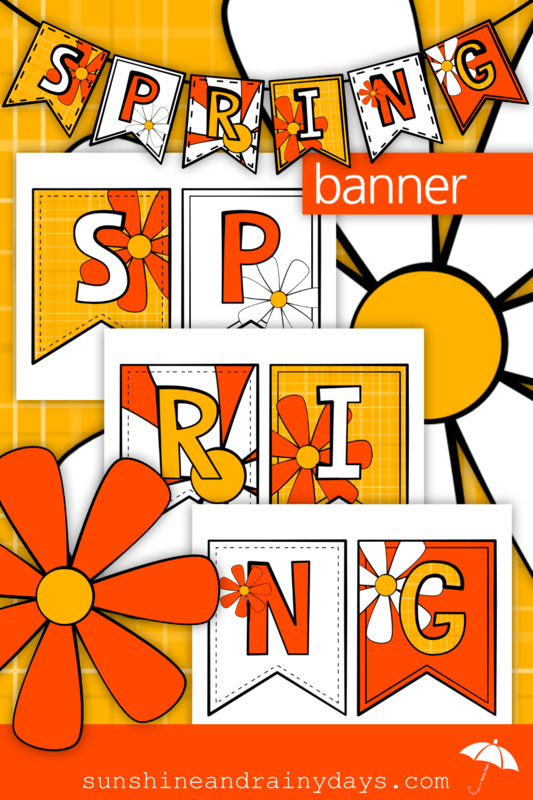 Decorate your home for Spring! Use a hole punch to punch two holes in the top of each flag and thread jute or twine through the holes to create a banner! 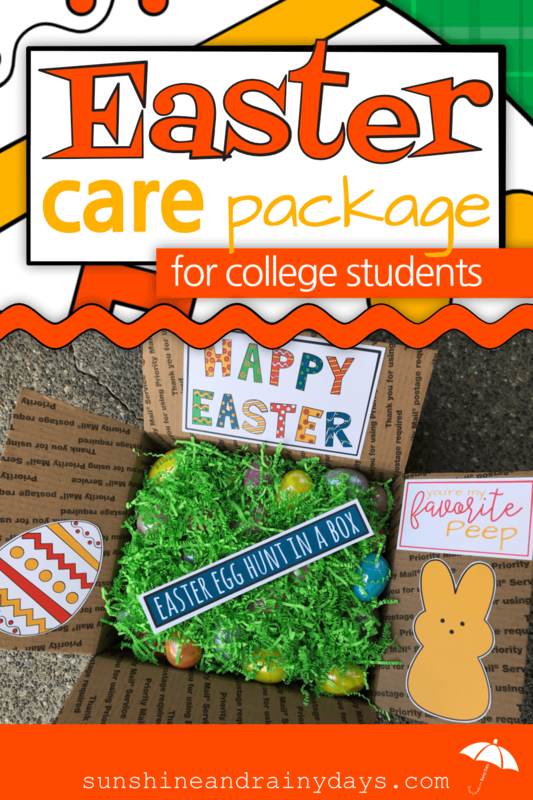 This Easter Care Package is perfect for your college student or anyone you won’t get to spend Easter with! 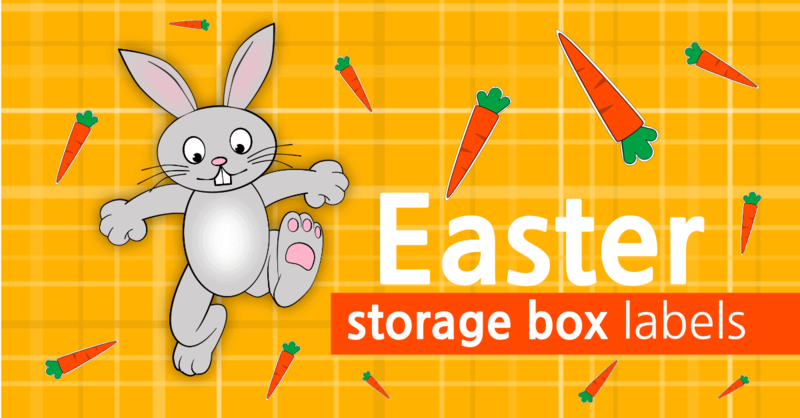 It’s an Easter Egg Hunt in a box! 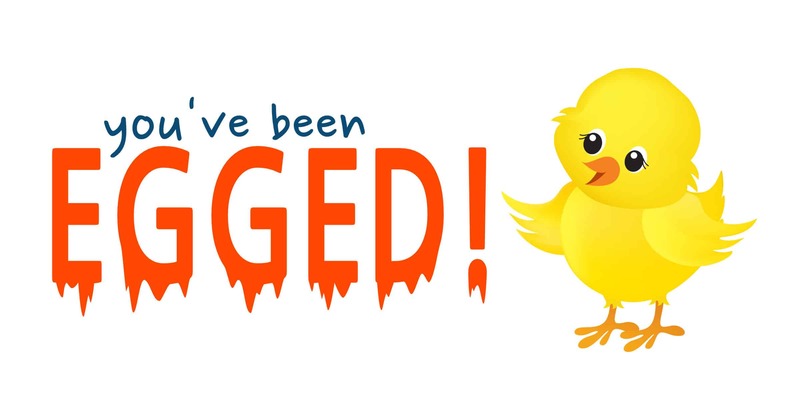 Looking for a fun way to surprise your teenagers this Easter? 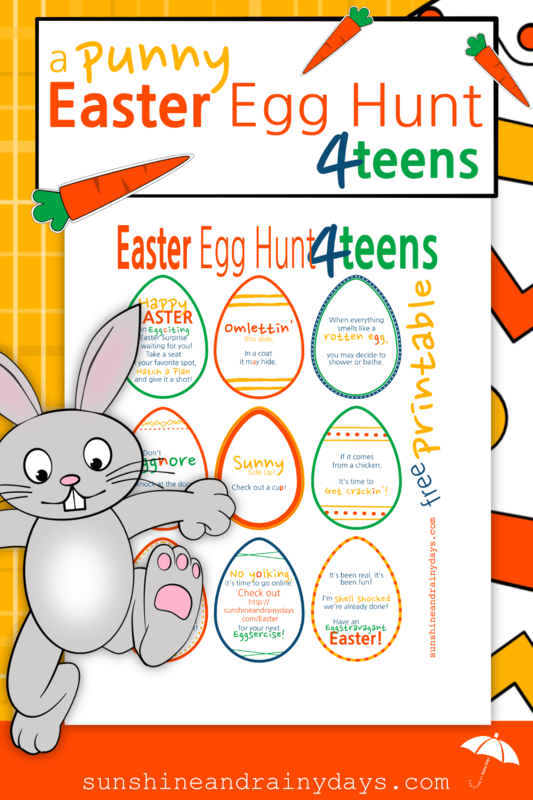 How about an Easter Egg Hunt for Teens full of Eggstravagant puns and FUN! Not REAL eggs! You know, the plastic kind, filled with good stuff! 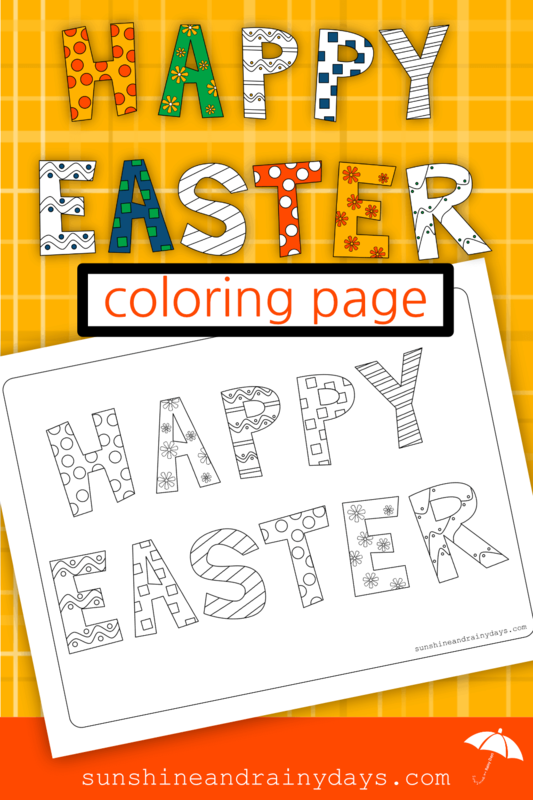 Color this Happy Easter coloring page and use it to decorate for Easter! Does your teenager drive? 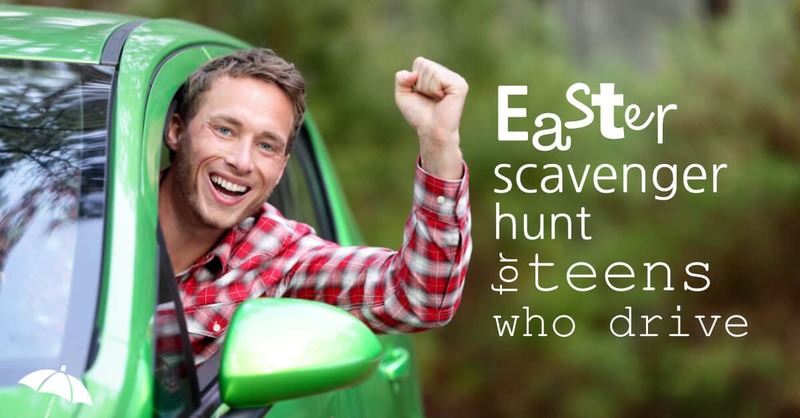 Wouldn’t it be a blast to send them on an Easter Scavenger Hunt? We’re talking about an Easter adventure here! Freedom to hit the road and experience independence! Even teenagers can’t resist a festive word search! Print it off and leave it on the table to see what happens! 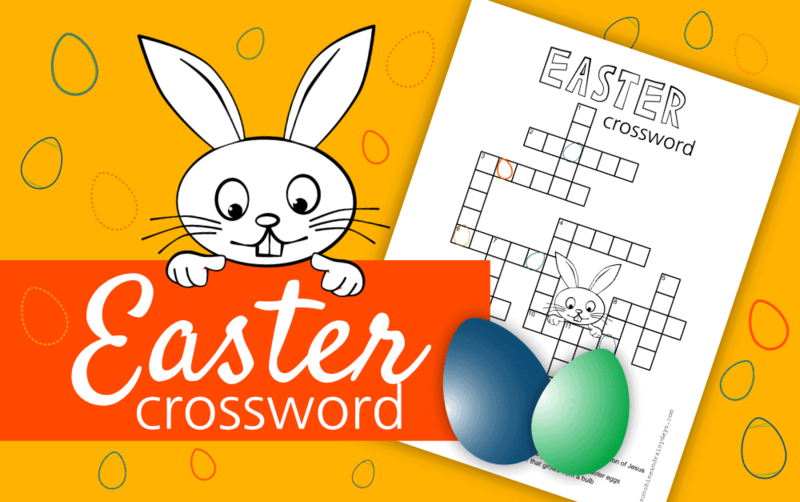 Stretch the mind a little with our fun Easter Crossword Puzzle! 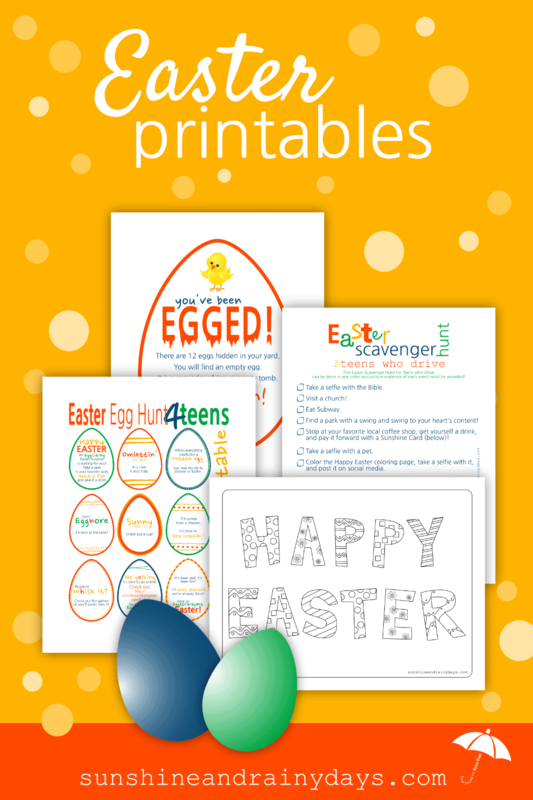 Gain Access to ALL our Easter Printables in one easy to find spot! This post contains affiliate links. When you purchase through an affiliate link, we receive a commission at no additional cost to you. Disclosure. 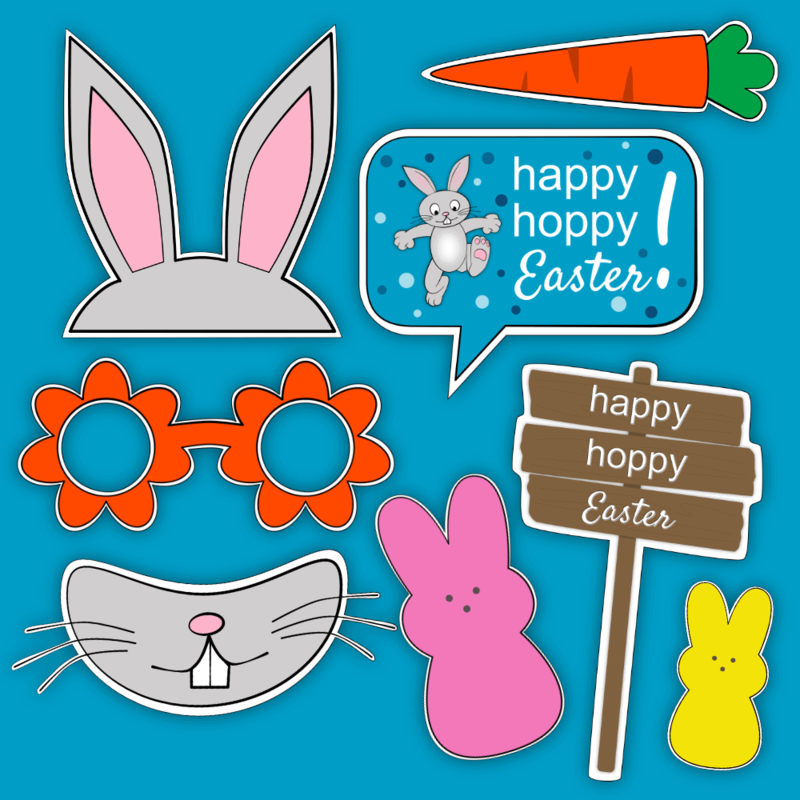 These Easter Photo Booth Props from The Dating Divas are way too cute!